though aluminum fences are less expensive, they don’t stand up to years of wear and tear as well as wrought iron fences do. If your yard is on a steep grade, iron may not be the best option, because it is not as flexible as aluminum fences. Aluminum fencing is great for homeowners on a strict budget who want an attractive fence, but don’t want to worry about maintenance on their fence. 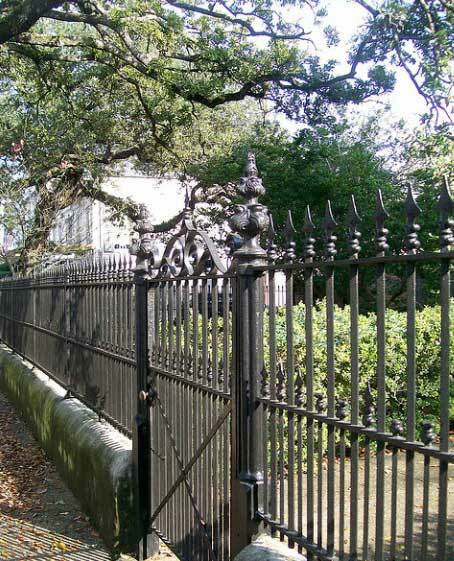 Meanwhile, even though iron is more expensive than other fence types, it is known as a classic type of fence and looks great with historical houses. Hand forged iron can be painted to suit any home or yard, although most prefer to leave it classic black. Prices can pretty steep if the perimeter of your yard is very large. 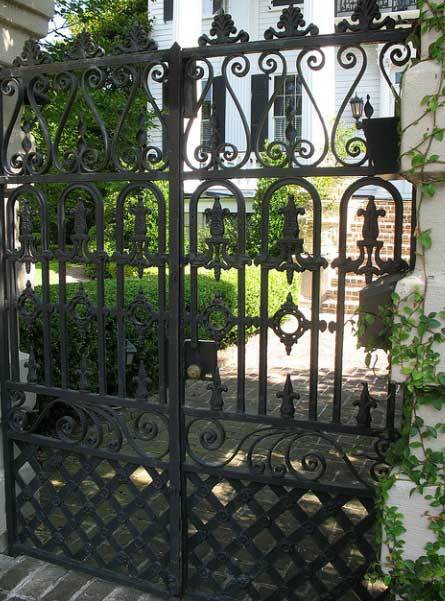 The average price per linear foot of the best quality wrought iron tends to be about $32.05. Lower quality hand forged fencing cost about $23.65 per linear foot; that doesn’t sound like much of a difference at first, but every dollar adds up when dealing with fencing. These estimates include labor, materials, and installation. This fenicng cost is admittedly pretty steep compared to many other options, such as aluminum fencing, but many homeowners prefer it because of its classic looks, and long lasting beauty. 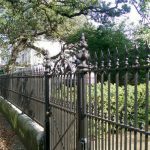 If the cost is discouraging you from purchasing hand forged iron fence for your home, a cheaper way to keep up curb appeal is to only line the areas of your property that are most seen with the metal fenceing, and to use a cheaper alternative, such as aluminum for the rest. 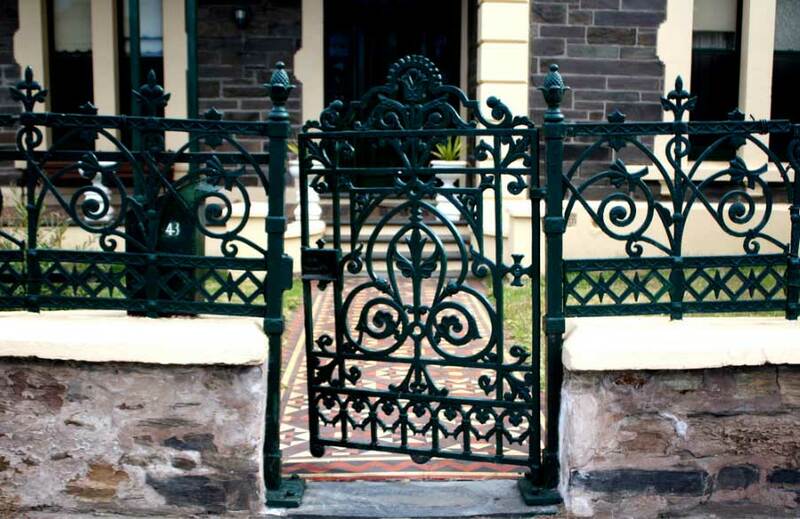 W rought iron gates can get to be extremely ornate, adding a major dose of style to any home. They can be simple, as well. The gates can be designed to match a home’s already existing style, or to totally change the look of the entrance to a home. If the cost is already too hard on your budget, your gate could look just as good made from another material, so long as it matches the rest of the fence in color and style. 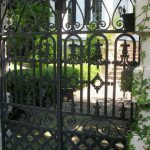 Fencing accessories, such as special brackets or ornaments, are perfect for adding extra personalization and style to your fence. If your budget has forced you to purchase a simpler metal fence than you’d dreamed of, decorative accessories can really dress it up. They come in such a wide array of designs- simple to extremely ornate, and are usually not very expensive. Gates and accessories both vary in cost depending upon how large they are, and how ornately designed you want them to be. 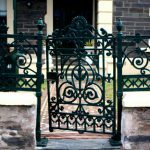 How To Paint Wrought Iron? Painting is some of the most worry-free painting there is. However, there are a few details that you should keep in mind when you are going to paint metal. 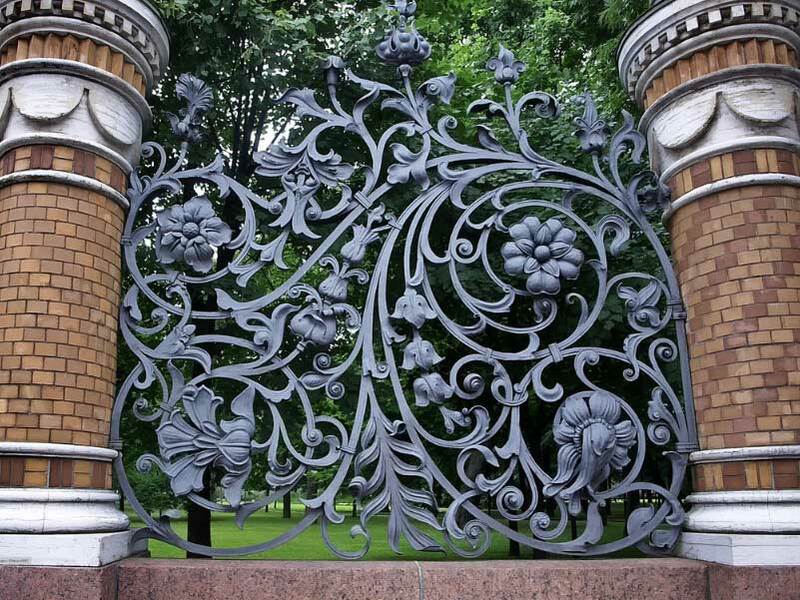 No paint will adhere to a bare wrought iron; proper preparations and priming must be done. An acid-based metal-etching primer that is formulated to prevent rust is the best option for priming your hand forged fenceing. It will leave it in a condition where acrylic latex paint, or enamel paint, will both adhere to the fence with no problem. Not sure which kind of paint will work best for your metal fence? Acrylic latex paint has the ability to expand and contract with extreme temperature changes to prevent cracking, while enamel paint is incredibly durable and will stand up to high physical duress. Take the time to think about your climate and the amount of wear and tear that will be put on your fence when deciding which kind of paint to use for painting. 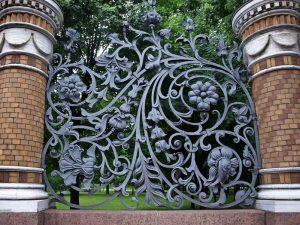 The tedious part of wrought iron fence is the actual application of the paint; a mini roller can help streamline this process. Allow the first coat of paint to dry fully before applying another, if necessary. Wood Fencing Pricing – How Much Does It Cost? Privacy Fence Panels – Which Should I Choose? Cedar Fence Panels – Why You Should Use Them? Wood Fence Panels – Is it Worth it? Copyright text 2016 by Stocade-Fence.com.